Dead Cells isn’t for everyone, but players looking for a challenge will find it a total rush. July and August are particularly dry months in the Triple-A gaming field. This is mainly because they arrive between E3 and Gamescom, two of the biggest gaming expos in the world where the industry’s biggest players show off the titles they plan to cram into the months leading up to Christmas. The upside of the likes of Ubisoft, Activision, EA and Square Enix keep their powder dry, though, is it gives indie titles a chance to truly shine, and right now the indie game shining the brightest is undoubtedly Dead Cells. Playing through Motion Twin’s gorgeously colourful game, one can tick off the influences at a rate of knots. The game borrows liberally from titles like Castlevania, Metroid and even Spelunky. 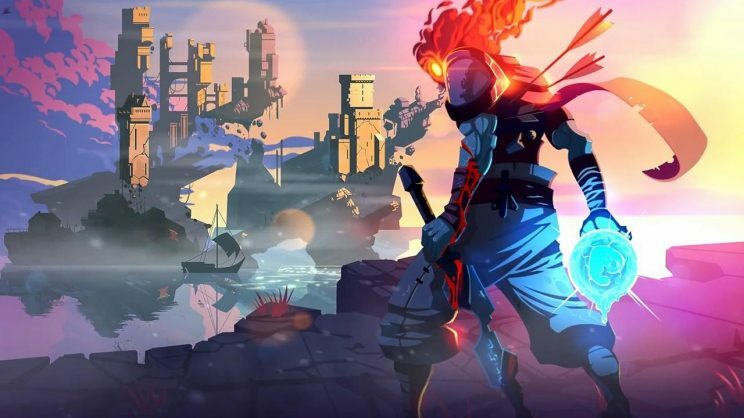 But the game casting the largest shadow over Dead Cells is Dark Souls; much like From Software’s grisly series, Dead Cells is a sword and sorcery affair with a difficulty cranked to eye-watering levels right out of the gate. In Dead Cells players begin life as a puddle of goo slopping out of a trap door and then shuffling over to a decapitated husk, which they then possess. They’re then handed a couple of rather lacklustre weapons and tasked with setting off through a dungeon filled with traps and creatures that’ll kill them. Oh, players will be killed. They will be killed a lot. And because Dead Cells is a roguelike, once they die, players will find that all of the dungeon’s enemies have been reanimated and they’re back to being that same pile of goo falling out of the trap door right at the beginning of the game. Not only that, but the game’s levels are procedurally generated so the dungeon’s layout has now been changed. This happens every single time the player dies. Now if any readers out there are scratching their heads as to why anyone would put themselves through this experience, there’s some good news. As they progress through Dead Cell’s subterranean hell, players will be able to pick up gold, new and better weapons (or buy them from the level’s shopkeeper) and unlock special powers and abilities. They won’t automatically get everything they’ve collected back when they die, but some unlocks do ensure that starting over will retain a portion of their gold and a better set of starting weapons. On top of that, the game’s combat is some of the most satisfying fun one can have. The difficulty may be rock hard, but the fast, fluid motion lends an enjoyable tension to the proceedings (the dodge roll is the player’s best friend) and taking down an enemy that once bested you with a well timed thrust and parry is a total rush. Dead Cells, then, isn’t for everyone. Those deterred by games that are more challenging than most might be best advised to save their money for the Christmas rush. But players yearning for a game that makes them feel empowered through their persistence and skill should sign up. It may have arrived in a relatively fallow period, but Dead Cells is easily a contender for one of 2018’s best games.